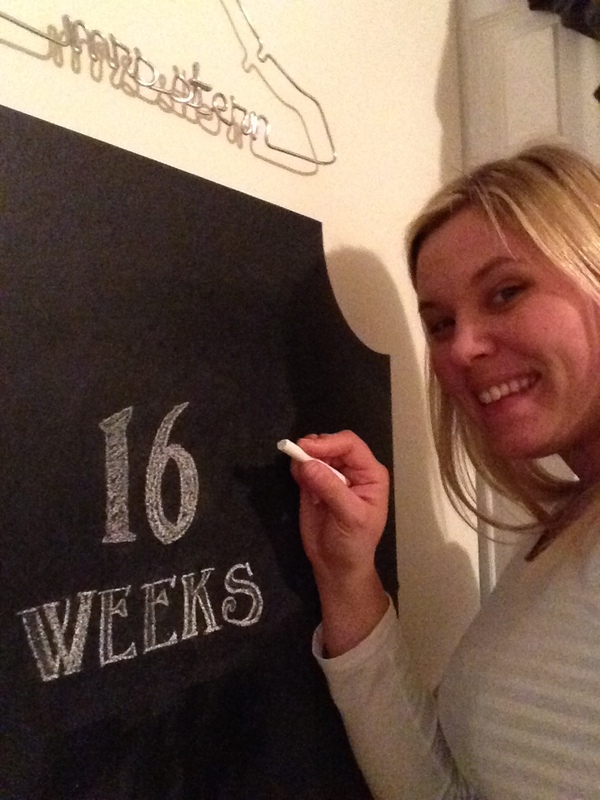 Chalk Art – 16 weeks (Part II) – Our Happy Place & Co.
I’m so excited to keep using this to track Baby Stern’s progress for the week(s) and be able to share development and growth milestones. I feel like this little peanut is growing by leaps and bounds. 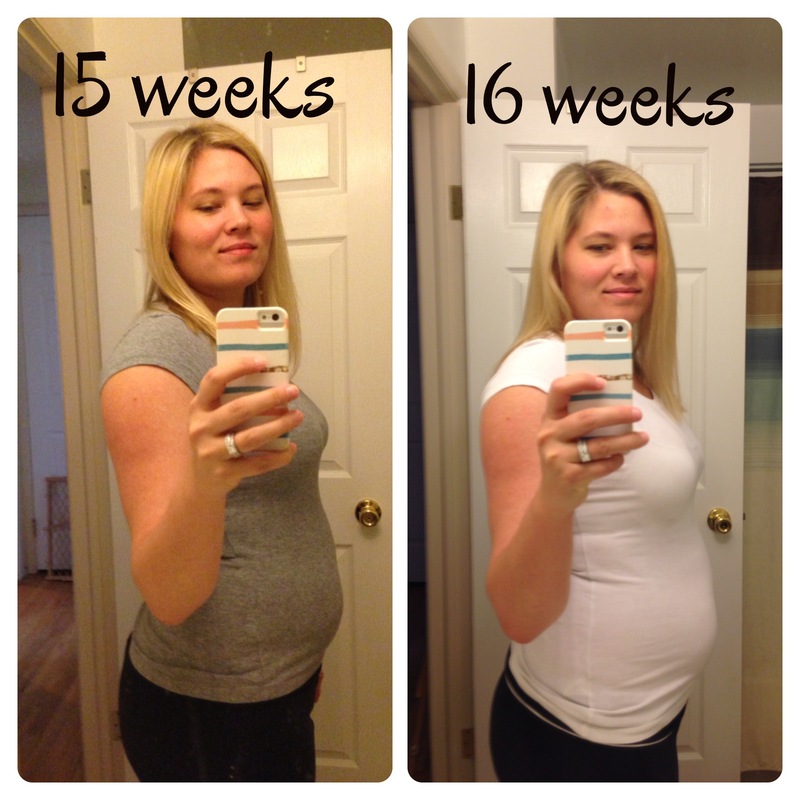 I did a side by side comparison of week 15 belly to week 16 belly and it’s quite evident that we’re growing (both of us!). And here’s a front view from week 16 (the beginning of week 16, too!). 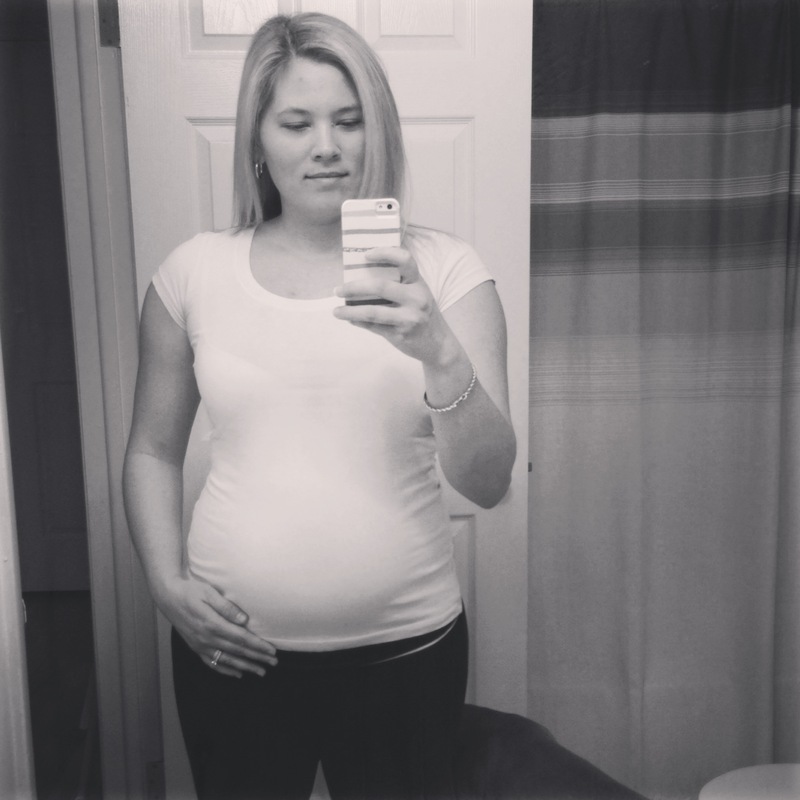 Here’s to growing bumps and progressing weeks – on to week 17! 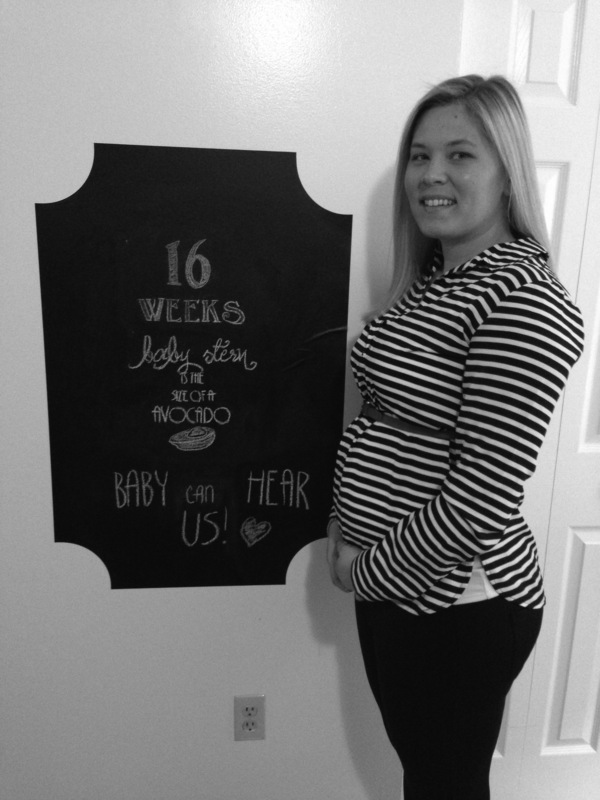 ← 16 Weeks & Counting!